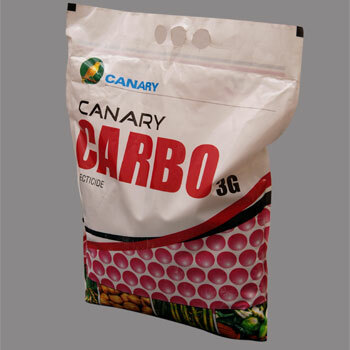 Carbo is a broad spectrum carbamate insecticide, nematicide and miticide having systemic action. It contains 3% active ingredient carbofuran and other balance relevant ingredients. Carbo is recommended to control shoot fly of Bajra, Brown hopper, Gall midge, Green leaf hopper, Hispa, Stem borer and nematode of paddy, Pod borer and white grub of Grounnut; and top borer of sugarcane and insects of other crops.